Tags: Building a recording studio. 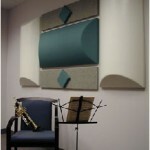 When it comes to room acoustic treatment, you might immediately resort to standard acoustic materials such as Auralex, Fiber glass, etc. However in some parts of the world, these acoustic materials are not readily available. And if you order them from abroad, the entire cost would be enormous. So the only solution is to use readily available materials that can have similar acoustic properties of those standard materials. The most important specifications for examining the acoustic properties of these materials are the sound absorption coefficient. 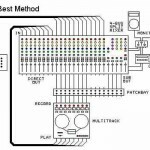 It is readily available in some sound engineering manuals or acoustic engineering handbooks. It typically uses a value from 0 to 1; with 1 implying 100% absorption and 0 as no absorption. Absorption coefficient of 0.7 to 1 is considered good, while 0.3 to 0.6 as moderate and 0.3 below is poor. This post would take a look at common materials that you can buy easily and available in most homes. 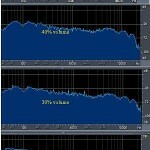 So you can use this as substitute for the standard acoustic materials used in most mixing and home recording studios. Take note that the above absorption coefficient is for the blocks are not painted, poured with cement and not finished (so it should be rough and porous in nature). Also you can make them thick by grouping or stacking together. 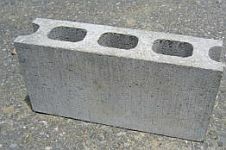 Since porous concrete blocks have some reasonable low frequency absorption; you can even use porous cement blocks as a bass trap. You can mount them in your room corners if you have excess blocks in your house. Draperies have good absorptions for frequencies starting from 500Hz (or 1000Hz to be more accurate) especially if its pleated drapery. 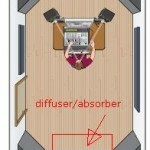 Ideally since they are placed in the windows of your room, you can use draperies to block the reflections of mid to high frequency components. You can put draperies in front and back of your nearfield monitors. 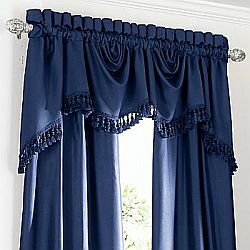 If your room has windows on the sides (other than the front and back); you can as well put draperies. One big advantage of drapery is that it will help with the aesthetics of your control room.